A couple of weeks ago, I was at a loss for what to do, and fancied a bit of beach action. Home home is 20 minutes from Brighton, but as anyone who’s faced that pebbly megahulk before knows, it’s not the place to get sand between your toes and lie back contemplating the marvels of existence on a sunny day. In fact, you’re more likely to stumble across some druggy teen and sit there getting sad about the burnt down pier and the increasing shabbiness of the place as much as anything. Oh, and have you tried going through East Croydon on a sunny day? Forget it. 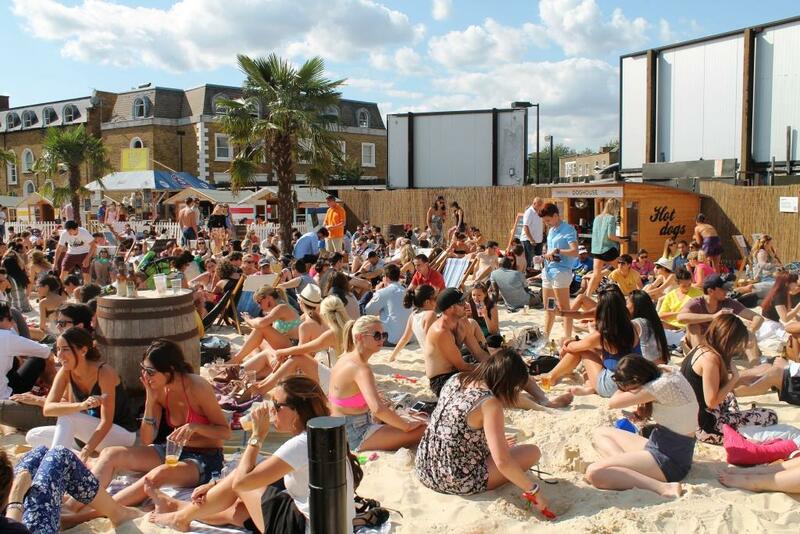 Instead, I opted for Time Out’s number one attraction of the week, Camden Beach. My friend later told me he was extreeeemely sceptical about going to the most popular place in T.O. 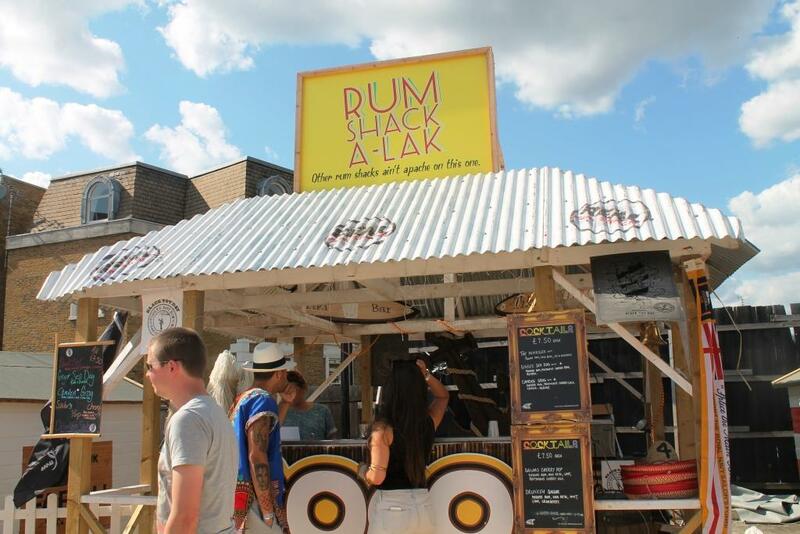 on a sunny Sunday, but we trekked out to Chalk Farm tube and joined the queue. As my friends/colleagues (frolleagues) will tell you, I *hate* queuing. I turn into my dad, loudly tutting and getting increasingly irate, swaggering around declaiming ‘I just DON’T queue, I don’t do it. I refuse’. Well, on this day, I dealt with it and we only waited about 15-20 minutes to get in. You’ll actually be grateful for the queuing system once you’re in, because it ensures the place doesn’t get overcrowded. We found a spot, grabbed some drinks from the Tiki bar, and settled down for a couple of hours in the sunshine. They’ve got music playing, deckchairs, little beach huts, a volleyball net, a champagne & hot dog stand, and all sorts of other delights for city-dwelling beach lovers. I had a ridiculously good time – while it’s never quite going to match up to a glorious Cornish beach, there’s something pleasing on a deep level about getting covered in sand and lolling about with a cider. We even made sandcastles! It took a while to work out the optimum sand:water ratio, but once we had it, there was no turning back. We spotted a nearby girl getting jealous and attempting to emulate us with little success…she was a bottle of Prosecco worse for wear though, so I should be more generous. I can strongly recommend it as a day out. It’s free to get in, and I made a pint of cider last a very long time, so you can do the whole thing on a minimal budget if you so choose. Bear in mind you can’t take any bottles in yourself though, so if you were considering beating the system, you should think again, sunshine. 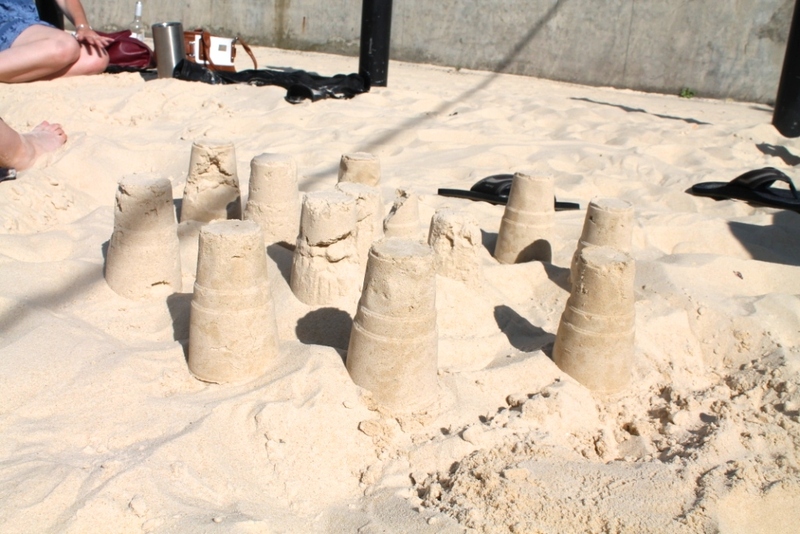 Take a few friends, take a bucket and spade, and enjoy the slightly disconcerting experience of seeing the Camden skyline while surrounded by sand and beach huts. To quote their tagline: you’ve got 99 problems, but a beach ain’t one. Camden beach info can be found here, and it closes on Saturday 23rd August.